Orthodontic Specialists of Florida is a leading provider of orthodontic care. 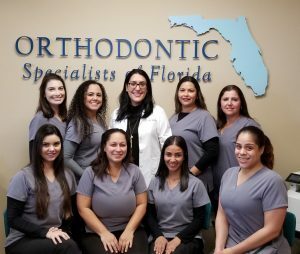 When you join our family of patients, your care is managed by an experienced orthodontics specialist who works closely with you to develop a treatment plan that fits your needs and your budget. Our staff excels at customer service and is always available to help you with any questions or concerns. Our office is conveniently located for all of your follow-up appointments, and our financing options help you manage the cost of your care. We offer silver, gold (24ct gold plated), clear and ceramic braces, as well as Invisalign®, at our Orlando, Florida office.